BP's newest PR salvo touting its Gulf cleanup hit a nerve with many residents still struggling to get their lives back (one ad captured this BP beach protest in the background). The oil behemoth's slickly produced pleas for Americans to “come on down” to the Gulf where the weather is warm, the food is sublime and the beaches are sparkling clean--at least in the commercials--has long stuck in the craw of people whose shrimp boxes are bare and whose beaches and bayous are sometimes littered with sticky tar balls and bloated dolphins. But what if BP took a different tact this coming year? What if the oil giant —which scooped up profits worth nearly $5 billion last quarter and is planning to drill anew in the deepwater Gulf—decided to give a voice to those enduring the worst fishing season in memory? 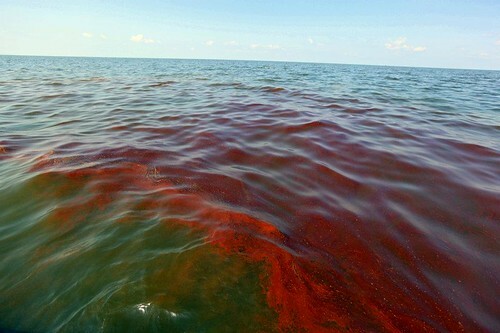 What if BP decided to tell the stories of families suffering from debilitating health problems they blame on the crude and chemical dispersants, oil that still mysteriously bubbles up near BP’s Macondo well 40 miles offshore? If such a miracle were to take place, I have a great list of characters and stories for BP to choose from. They are all hard working people who care about their health and environment; many are salt-of-the earth folks who before the BP disaster rarely complained about the oil industry. But the oil spill changed that. And their stories have largely been ignored by the media and those in the halls of Congress, not to mention oil industry bosses in country club lounges. (Check out NRDC's film Stories from the Gulf that aired on the Discovery Channel earlier this year). Their stories are crucial; after all, who will protect the common working man and the critters in the sea, as one fisherman asked me? Who will stand up for their special interests? The problem is no politician wants to touch this Gulf tar baby. The oil, seafood and tourism interests all want to keep it quiet. The politicians just follow suit; after all, we know where their bread is buttered. The feds drew a line in the sand shortly after the well was capped last year. The oil is gone and the seafood is safe. End of story. Except it isn’t. As NRDC’s Miriam Rotkin-Ellman and Gina Solomon reported last fall in their landmark peer-reviewed seafood safety study, the government simply doesn’t set adequate safety levels or test for many oil contaminants that can be harmful to seafood consumers, especially to children and pregnant mothers. And every storm in the Gulf brings a fresh wave of tar balls and oily gunk onto the beaches and bayous. Where do you think that's coming from? Experts say plenty of oil is still sunk on the bottom, some of it in thick tar mats lying just offshore. It's not clear what will happen to it. So this brings us back to BP's ads. Just in case anyone is out there with a sympathetic ear, a producer or reporter looking for a different version of reality to explore, here are some people who won’t be part of BP’s latest promotional onslaught. These are all people I've blogged about over the past year, folks who hardly any local politician, tourism official, seafood distributor or oil industry exec wants to promote. But they are there if you want to find them. And they won’t be silenced. There's a big credibility problem between what we're seeing and what they're saying. There's a lack of confidence and full disclosure. It seems the public interest is not a priority. I'd much rather trust the people I know here, the network of people who want to make sure people and the environment are protected. We’re seeing all kinds of problems, shrimp with no eyes and no baby fish. Boats are reporting five and six dead dolphins a day. Our beach is producing less than 1 percent of the shrimp (of normal catches). Grand Isle used to be the best fishing grounds in the country. Our bay is full of oil and our beach is dead they’ve used so many dispersants….I don’t think we’ll have a fishing industry here in two or three years. Everyone is running out of money...I’d rather have 100 Katrinas than one BP spill. In fact, we found so much oil out in the Macondo Prospect (near the site of the April 2010 explosion), that we have an 11-minute video of it that never covers the same area twice! Not since last summer have we seen this kind of expansive surface sheen. Metallic-gray and rainbow swirls stretched for miles, mixed with dark-brown stuff that resembled weathered crude more than sargassum weed. And there were those round-shaped 'globs' of oil again, here, there, and everywhere it seemed. We did not want to see this stuff anymore! 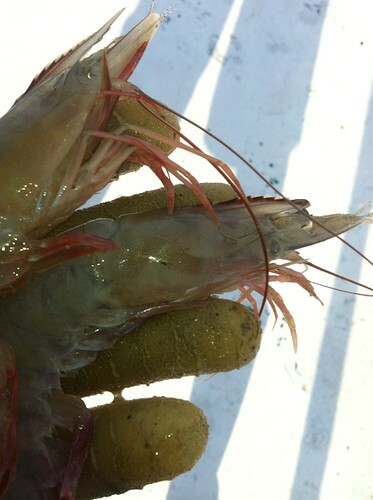 Shrimp with no eyes caught off Gulf coast November 2011. As the president’s national oil spill commission recommended earlier this year, we need to establish an independent drilling safety and environment office to make sure this disaster doesn’t happen again. And as the commission suggested, we should expand the role of the National Oceanic and Atmospheric Administration to ensure decisions about offshore drilling are based on sound science. But this still has not happened. Instead, lawmakers are following the advice of the oil industry that lines their pockets….We still need to drill for oil, but we need to do it carefully while our country invests in new sources of energy that are cleaner, safer and that provide more jobs. That’s what Congress should be doing, not pushing reckless oil drilling that could put our coastlines at greater risk. 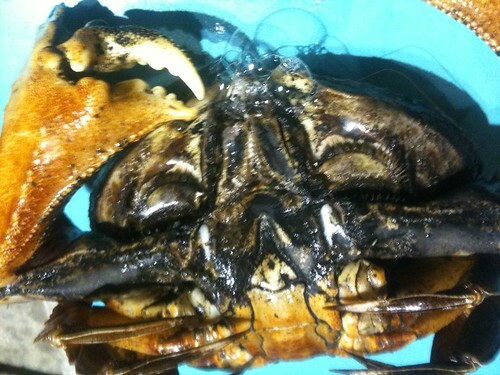 Oiled crab caught by commercial fisherman off Louisiana coast fall 2011. These are just a few people with similar stories to tell in the Gulf. But don’t look for them in BP’s commercials. 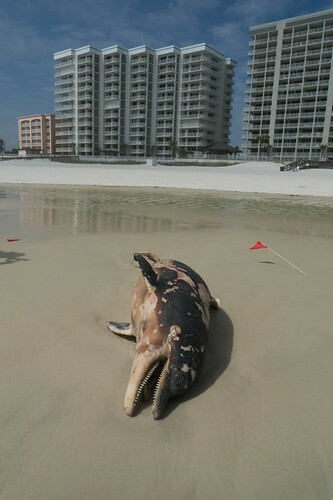 Their version of the Gulf cleanup won’t be broadcast on the Super Bowl or aired during Sunday political talk shows. In fact, their stories probably won't be seen in the major media anytime soon. But maybe next year will be different; perhaps the powers that be will confront the fact that the oil damage has not magically gone away and that the fertile fishing grounds of the Gulf appear to be getting worse. It seems inevitable that at some point society will have to pay attention to the voices crying out for a clean and healthy environment, a better life for their kids and justice for damage done. We must and we will. Because they won’t stop making their voices heard until we really make it right.